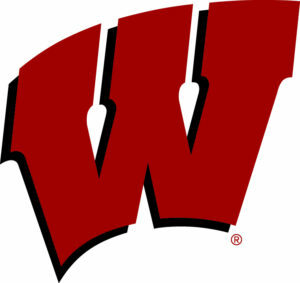 For the second straight season, the Wisconsin’s NCAA Tournament run ended in the Sweet 16. Florida guard Chris Chiozza hit a floating three-pointer to send the Gators to a 84-83 overtime victory over Badgers. Wisconsin jumped out to a fast start, then blew a 11-point lead and trailing going into halftime. In the second half, the Badgers erased an eight-point deficit in the final 2:54 and forced overtime when Zak Showalter hit a game-tying three-pointer with 2.5 seconds left. The Badgers jumped out quickly in overtime before Chiozza’s late heroics send the Badgers and the Big Ten home. Nigel Hayes scored 22 points to lead Wisconsin, but he missed 7 of 14 free-throw attempts. Ethan Happ added 21. Showalter finished with 14, but fellow senior Bronson Koenig hit just 4 of 13 shots and finished with 13. Koenig offered little in the overtime after suffering a right-hamstring injury in the final seconds of regulation. Wisconsin also lost senior forward Vitto Brown after he fouled out in the second half. KeVaughn Allen scored 35 points to lead the Gators and set up an all-SEC regional final against South Carolina on Sunday. South Carolina advanced by beating 3rd-seeded Baylor 70-50. Wisconsin hit 20 of 30 free throws and committed 15 turnovers, which Florida converted into 20 points. Those two statistics were key, in a one-point loss. Wisconsin ended its season 27-10 overall.